We are located in Paradise Valley, BC Canada with 10 acres bordering a majestic river, surrounded by rain forest and brilliant mountain views, you will find the Center’s healing energy is quickly accessible. 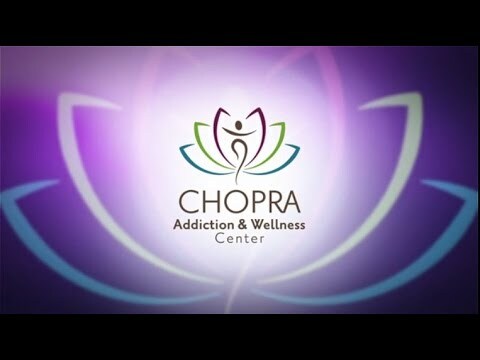 When coming to Chopra Addiction and Wellness Center, please bring appropriate comfortable clothing and footwear suitable for the season. Please note some activities are held outside and appropriate outdoor wear is advisable. The West Coast produces rain throughout the year and snow is expected between December and February. We request that you bring only one bag of luggage as laundry facilities are available on site. You may bring your personal toiletries like shampoo, conditioner, tooth brush, tooth paste, shaving kits and deodorant. We encourage you to bring items like personal photos, letters or cards that may support your wellness at the Center. We also recommend you bring your cell phone or a calling card to make personal calls. There is also a weekly opportunity for swimming, so please bring your swimsuit, should you feel this might be something you want to experience. If you will be going through smoking cessation during your stay at the center, you will need to bring your own supply of nicotine gum or nicotine patches to last the duration of your stay. There are other treatment methods you may wish to discuss with your physician. We request you to not bring overpowering perfumes, colognes or aftershave; as other guests may have allergies. Please do not bring over-the-counter medications or any personal valuables. Please email or phone us with any specific questions you may have! Rooms are assigned upon arrival and will be a shared space. While we recognize many guests associate increased sense of comfort with having a room to themselves, we also believe sharing a space with others allows an opportunity to practice and enjoy social interaction and connection. Men & women’s sleeping quarters are located in separate buildings, in some instances this can temporarily change dependent on our guest numbers and if there is an influx of male guests. Should this situation occur there maybe the possibility that men and women will sleep in the same building. However, bedrooms would still be gender specific and would not be a shared space. At night time a lockable door can also divide this area to provide additional boundary support if it is felt needed. Can I bring my camera or laptop? If you bring a camera please understand that due to confidentially no pictures of staff or other guests are permitted to be taken on the centers property or during a guided outing. With regards to laptops or Ipads, we recommend you consider whether or not this is a nourishing choice for you. Wireless internet access will not be accessible from your own computer. Emails can be accessed through computers that we make available for guests. Can I bring any food? We recognize healthy nutrition, healthy eating patterns, and access to great tasting foods is vital to wellness. We encourage guests to partake in all the exquisite meals prepared at the Center. In order to support safety and healthy changes we require you to not bring any food items with you. This includes items like protein powder or protein bars. If you wish to bring your own vitamin supplements you are welcome to do so, but we require you to bring only new bottles with seals intact. All residents of Canada should bring their personal health care card with them. Persons residing outside of Canada are required to have travel health insurance covering their stay while in Canada. Are my treatment fees covered under Private Insurance? As all insurance providers are different you will need to contact your own provider to enquire whether your treatment fees are covered. Please Note: CAWC does not 3rd party bill. If you do have insurance coverage, you are still responsible for paying for treatment and then submitting a claim for reimbursement. Can I bring my vehicle? There is no parking available for resident’s vehicles at Chopra Addiction and Wellness Center. We encourage you to make arrangements to get dropped off at the Center by a friend or family member. If you are taking a bus, a staff member will gladly pick you up at the bus depot on your intake day. Direct transportation from Vancouver International Airport can be arranged. Please talk to our admission staff about this option. Due to Chopra Addiction and Wellness Center’s Medication Policy and for safety reasons we require all guests to have their medications blister packed and to bring enough supply with them for the duration of their stay. Exceptions to this policy include individuals coming to the treatment Center from outside British Columbia where their pharmacy does not provide blister packs. In such cases, we would require that prescriptions brought into the Center are in new prescription bottles clearly marked with only the said prescribed medication inside. It is very important that during telephone intake or pre-admission, an arrangement is made with Admission staff concerning your medications to ensure a smooth transition into treatment and non-disruption of any prescribed medications. For duplicate prescriptions that would need to be filled locally, we require you to bring originals of all duplicate prescriptions with you. Due to safety reasons, upon departure from residential services, all unused medications will be returned to the pharmacy for disposal and you will be advised to seek follow-up with your referring physician. We require a credit card be kept on file (or other arrangements to be made) in order to cover cost of all medical prescriptions. The cost of all prescribed medications are understood to be the responsibility of individual residents. Any services sought that are not described and part of the Center’s regular scheduled offerings, are understood as a separate financial arrangement by individual guests. Upon departure from residential services, all unused medications will be returned to you and you are advised to seek medical follow-up, however if a medication has been discontinued during your stay at the center it will be returned to our local pharmacy for disposal. You are responsible for arranging your own medical follow-up after you leave the center and should your treatment at the center include any changes to your medication, we require you to follow up with your own doctor after leaving the center for any refills. We expect all costs and services at the Center to be covered by your weekly fees. For this reason, we ask you not to bring large amounts of money. It is recommended you bring a credit/debit card which you can keep secure and can be used to cover exceptional costs (e.g. prescribed medications from local pharmacy if needed). What about AA, NA and other support groups? We recognize participation in Alcoholics Anonymous and/ or Narcotics Anonymous has saved and enriched countless lives. We support participation in these organizations and we make meetings and 12-step work available during your stay. We understand movement toward healing and wellness does not happen in isolation. We all need support. We also recognize AA/ NA is not for everybody and your journey to wellness may focus on other healing methods, using other support systems. We offer exposure and experiences to a variety of healing services and provide support to consider what fits for you and what you need for wellness both in the short-term and the long-term. Is the Center only for “addicts”? Our focus is on wellness. We do not require you to describe yourself as an addict. You may be struggling with a compelling destructive behaviour and not want to be described as an addict. How you describe yourself will be your choice. People who want healthy changes for themselves are welcome at this Center. If you want to improve your relationship to self and others, you will share common ground with all other clients coming here. What does a day at the wellness Center look like? A typical day may include journaling, yoga, guided meditation, group therapy, an individual session with a therapist, an educational group session, massage, and a supervised evening activity (e.g. exercise room, or reading room). The schedule is provided on the website and in your orientation package. How do I keep in touch with family and friends? We recognize you may wish to stay in touch with friends, family or your workplace, and people may want to know how you are doing! In respect to your right for confidentiality, we will not confirm your residency to any callers. We recommend guests to bring their own cell phone to keep in touch with family and friends. If you don’t have a cell-phone, or have decided not to bring one, there is a guest phone available for you to use. Please be sure to bring a calling card for making any long distance calls. A computer for guests is also provided at the Center, for access after 5:00pm. Phone, Internet, Computer and Ipod (music) Use: We support you to limit your weekly use of the combined items to less than 60 min. in total. However, we welcome the use of Ipods in the gym while working out. We want you to succeed with your goals, and we want you to have an opportunity to practice phone and internet use in a manner that fits with wellness. In most situations, we encourage healthy communication with your family and others close to you. Letter writing is encouraged, and you may want to bring personal stationery and stamps for this purpose. In order to ensure safety for all, we routinely require incoming mail and any packages to be opened in the presence of a staff member. You may invite visitors after the first week of your stay. We believe the intensity of your initial assessment, stabilization, and treatment planning in the first week requires the complete focus of both you and the clinical team. Potential visitors can be discussed with your counselor in the first week of treatment. The clinical team retains the right to screen and decline any visitations that are believed to be counter-therapeutic. Family and friends who are supportive of your wellness are greatly encouraged to be involved in your healing process. Approved visiting and family programming is available at the Center on weekends only. Any unauthorized visit outside of the scheduled program time will be declined. We have visiting hours between 2pm and 4pm Saturday & Sunday afternoons. Guests are required to check in at the reception upon arrival and must adhere to visiting guidelines. Although Chopra Addiction and Wellness Center is an adult only facility, please know we encourage you to have your children come and visit you. It will be your sole responsibility to ensure their safety while visiting you as the Center does not provide child care services. If you have booked a family therapy session and your children will be here, it is required that another family member or trusted adult you know be available to watch your children while you are having your family session. Should you be from out of province and it is not feasible for another family member or friend to assist, the Center may be able to provide some child care support for an additional cost. We require one week’s notice to adequately plan for such requests. We recognize that destructive compelling behaviours can be extremely isolating and that supportive relationships may not presently exist. Change is possible! Family and friends endure tremendous pain when loved ones suffer with addiction and other disorders. Involvement of supportive family and friends is an integral part of your recovery process. Family and friends are given an opportunity to learn about addictions and disorders, understand family systems, and how best to be supportive of loved ones in treatment. This can be the place for relationships to begin or continue to heal, and for emotions to start being acknowledged and expressed. Misunderstandings and confusions can be explored, strengthening the foundations for these relationships so they can continue to grow. With your consent, your primary therapist can contact a supportive family member (or friend) with you. You have the right to decide the degree of communication the Center has toward your family, friends, and professionals regarding your progress. We encourage you to invite family members to participate in the family weekend program upon consultation with a therapist at the Center. The cost is included as part of your treatment however family members are responsible for their travel and accommodation costs. If required, a family therapist or other therapists may provide individual counseling services for specific family members at additional costs. During a typical 6 week stay as a resident of Chopra Addiction and Wellness Center you will be encouraged to plan for at least one weekend, or evening during a weekend, away from the Center with family and friends who support your wellness. We generally support residents to remain at the Center during their first weekend. Any weekend planning is expected to be processed with staff in advance. You may phone or email us if you require further details re. the process of weekend planning at this time. We support your right to confidentiality. We recognize your right to decide with whom, and what, information you want to share. All guests and staff are required to sign a document acknowledging their commitment to support confidentiality. Release or sharing of any information related to your presence and or work at the Center is done only for the purpose of supporting your wellness and is done only with your written consent and in accordance with any legal requirement. Continuing Care is a valuable aspect of our program, offering support to guests as they return home and begin to incorporate the new tools, skills, and insights they have gained during their stay with us. Guests often feel overwhelmed when they return home after treatment. Recognizing that healing is an ongoing process, we are uniquely attentive to Continuing Care. After completion of a 28-day residential program, guests are eligible to utilize our aftercare therapy incentive program that provides partial funding for up to twelve weeks. 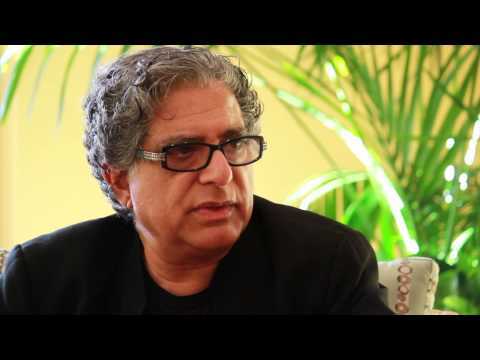 This offer has been designed to support you to begin therapy within seven days of leaving the Chopra Addiction and Wellness Center, and to attend weekly sessions with a therapist in your own community for 12 consecutive weeks. Examples of continuing care that can be arranged are individual sessions with a local therapist, group sessions, family sessions, and interactive internet support. To reduce anxiety and for sustained successful change, we will also continue to follow up at regular three-month intervals for one year after the residential program, and then annually after the first year. No two guests have identical situations. The final cost of treatment at Chopra Addiction and Wellness Center depends on the residential weeks required to meet your individual needs. The average inpatient stay can vary from 4 to 12 weeks. A guest addressing a drinking problem that began after a car accident a year ago, may require fewer weeks of residential service than a guest working through a childhood history of abuse and a lifetime relationship with multiple substances. While the cost of not seeking treatment can be tragic and sad, we acknowledge choosing to access residential services is a considerable investment. We are confident you will find the high quality of care and services we offer is rare in all of North America, yet our fees are comparable to most private care facilities.